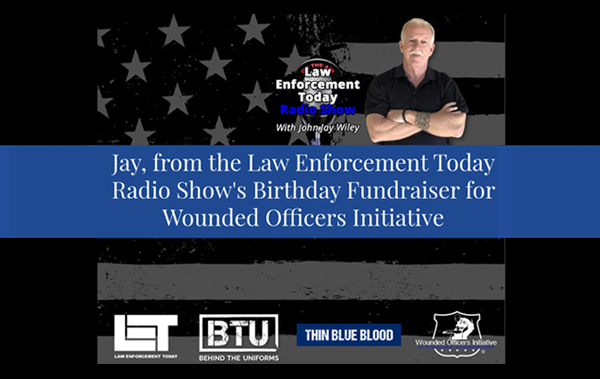 John Jay Wiley, the host of the nationally syndicated Law Enforcement Today Radio Show has a big birthday coming up. On November 10, he will turn 60 years old. That’s right the big Six-Zero. And we are pulling out all the stops to have a huge celebration. No, it doesn’t involve cake, or confetti, no candles either. So what are we doing to celebrate his 60th birthday? What Type of Birthday Celebration Are You Doing? 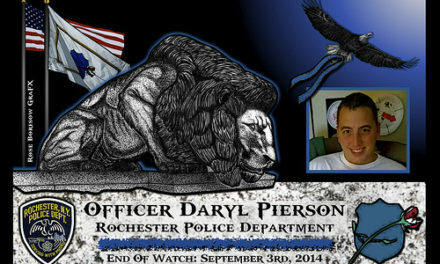 We are using the momentous occasion to raise money for one of his favorite charities, the Wounded Officers Initiative. You can donate to them by going to the donate portion of his Facebook page. Click here to donate on Facebook. What is the Wounded Officers Initiative? 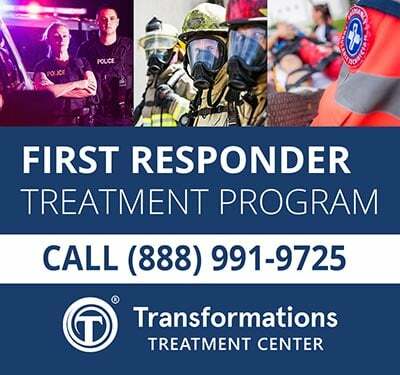 The Wounded Officers Initiative, Inc is a nonprofit corporation registered in the State of Florida and recognized by the Internal Revenue Service as a public charity, 501(c)3. The organization was founded in 2014 by four active and retired law enforcement officers from the Orlando area of Florida. 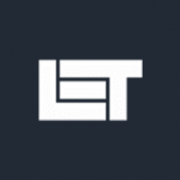 The initiative was created in response to the inadequate and uneven benefits and recognition provided to law enforcement officers catastrophically injured in the line of duty. The founders identified a moral need to bring awareness and advocacy for these heroes who have sacrificed so much of themselves only to be forgotten with little, and at times, no benefits. There are numerous organizations that do amazing work in assisting wounded soldiers, as well as the survivors of law enforcement officers killed in the line of duty. 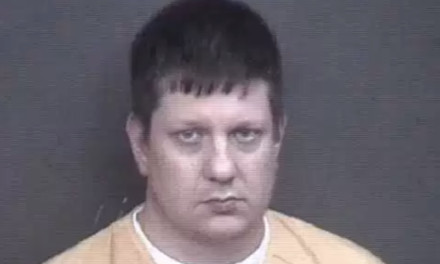 Unfortunately, there are few organizations for wounded law enforcement officers. It is better known as CAARE. These goals bring about independence and dignity to wounded officers by assuring mental wellbeing for all active, wounded, and retired law enforcement officers, creating financial stability and recognition for catastrophically injured officers. Furthermore, it helps reintegrate retired wounded officers back into society. Won’t you help them in their mission to help injured law enforcement officers and their families? For his 60th birthday this year, John Jay Wiley is asking for donations to Wounded Officers Initiative. He has chosen this nonprofit because their mission means a lot to him and the rest of us at Law Enforcement Today, and we hope you’ll consider contributing as a way to celebrate with him. Jay hopes to break the record that was set last year on his birthday, so any donation will be a huge help. 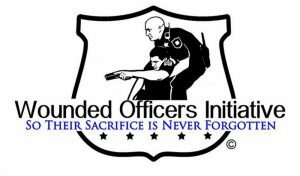 You can donate to the Wounded Officers Initiative via facebook by clicking here. 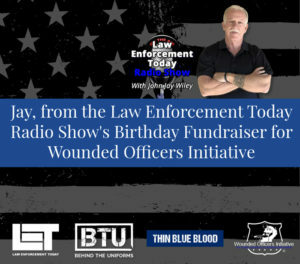 If you don’t have, or use Facebook, please go directly to the Wounded Officers Initiative website and if you could please add a note that this is for the Law Enforcement Today Radio Show Birthday.